WHY GO: When Ayn Rand needed to gather material for The Fountainhead, when President Taft sought a summer home, when Tom Thumb came a-courting, they all turned to this slip of Connecticut that many travelers miss. Most assume that the dingy industrial harbors glimpsed through windshields while barreling up I-95 define the Connecticut coast, but, nope. Not even close. Exit the thruway, hug the coastline, and witness what artists and writers admired and continue to admire about the Connecticut waterfront: salt marshes that spread like the Kansas prairie, sea-stained buoys that hang from weather beaten balconies, pink granite outcroppings and breathtaking views of pristine coves and towns, all in the particular light that inspired the American Impressionist movement. Spend a couple of days exploring the region that’s a bit Florida Everglades, a bit Maine Coast, but singularly Connecticut. Tour: Stony Creek Quarry. In the mid-1860’s, rock quarries flourished on this section of the Connecticut Coast. Nearly 2,000 people – whole communities – worked to remove, process, and carve the highly desirable pink speckled and veined stone gleaned from the Stony Creek Granite formation beneath the earth here. At the turn of last century, Stony Creek Granite was known to be durable, enduring, and unique. To artists’ eyes, it’s veining imparted the illusion of “motion,” rendering it almost a living thing. But over the years, land along the waterfront became too dear, and most of the quarries sold out to encroaching civilization. Now, only one, Stony Creek, is still in operation. Chunks of stony Creek pink granite form the base of the Statue of Liberty, the abutments of the George Washington Bridge, Grand Central Station, the 46’ tall column of the West Point Battle Monument, and the entire AT&T Building in New York. While summering in Stony Creek, Ayn Rand hung about and researched these stoneworks to flesh out the main character of The Fountainhead, Howard Roark, who takes a job in a Connecticut quarry. On the National Register of Historic Places, Stony Creek Quarry supplies stone for other iconic Landmarked structures built out of its signature granite. In fact, Landmarked structures must “match to existing,” providing that the supplier still exists. So currently, Stony Creek Quarry is excavating stone for the new Statue of Liberty Museum to match Lady Liberty’s base, and for the Metropolitan Museum of Art in NYC, which is removing carpeting from several galleries and replacing it with tiles to match the original Stony Creek Granite floor. Though most blocks are cut in 25-ton 5’X6’ sections – sized for sea transport in shipping containers – Stony Creek Quarry also specializes in both “oversize” and more organic shapes. The Peabody Museum at Yale University required a “monumental pedestal” for its large-scale bronze dinosaur and worked with Communications Director and Sculptor, Darrell Petit, who has been at the Quarry since 1989 “in almost every capacity.” As a sculptor, Petit can “read the stone” and helps procure the perfect block for each custom order. “Most builders want rectilinear blocks, but artists look for more organic shapes,” acknowledges Petit. The watchwords for modern rock quarries are Land Management and Sustainability, “so we don’t pollute or leave a pit,” when the quarry is depleted, states Petit. In years past, the granite was cut with torches heated to 3400 degrees with diesel fuel. But now, the quarry utilizes diamond-enhanced wire, which revolutionized the quarry world, to saw through the stone. Used with water, the process is environmentally friendly, doesn’t compromise the material, and, requiring only one man on the saw, is three times more productive. And while once whole broken sections were tossed aside, Stony Creek Quarry now operates with a no-waste policy: fractured blocks can be bashed into smaller pieces, pounded into gravel, and crushed into sand and then utilized for harbor jetties to protect the shoreline and mixed into concrete for custom paving. Throughout the year, the Quarry engages with the design world, welcoming engineers and architects, as well as students in STEM programs, to its 55 acres. Though generally closed to the public, twice a year, usually on the 2nd Saturdays in May and October, the Stony Creek Museum arranges very popular tours. DO: Hop On The Sea Mist with Captain Mike for a 45 minute cruise around the mauve-colored Thimble Islands (named for the prolific Thimble Berry, not their size)—a collection of over a hundred islands of various dimensions (only twenty five inhabited) – some no bigger than a breadbox, others large enough for 32 houses. President Taft summered on Elton’s Island and at the height of his popularity, Tom Thumb courted a woman on Cut-In-Two Island. 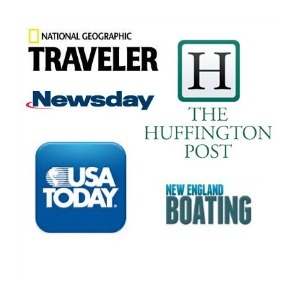 DO: Kayak the Thimbles. 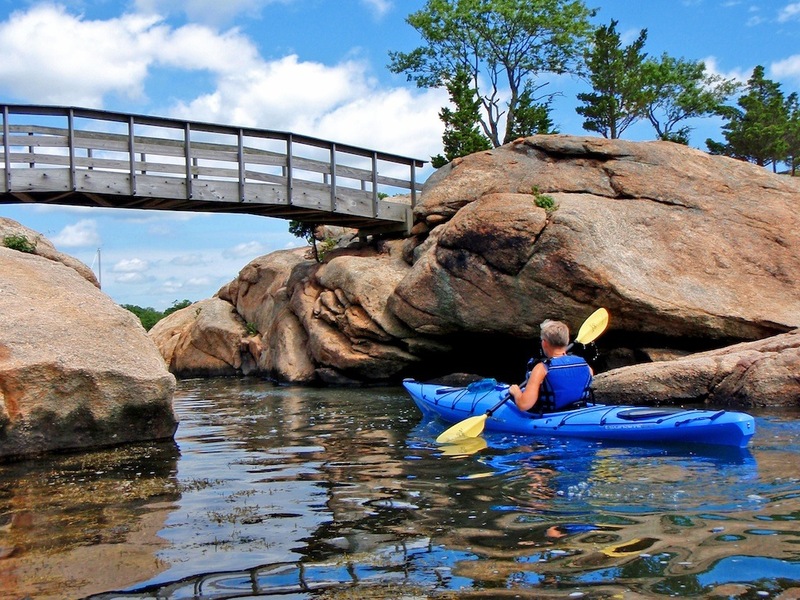 Yep, there’s another way to see the pink granite islands and that’s with Branford River Paddlesports, which supplies everything you’ll need for a 2 or 3 hour four mile paddle around the Thimbles. ($85-$105 per person, Summer Only). 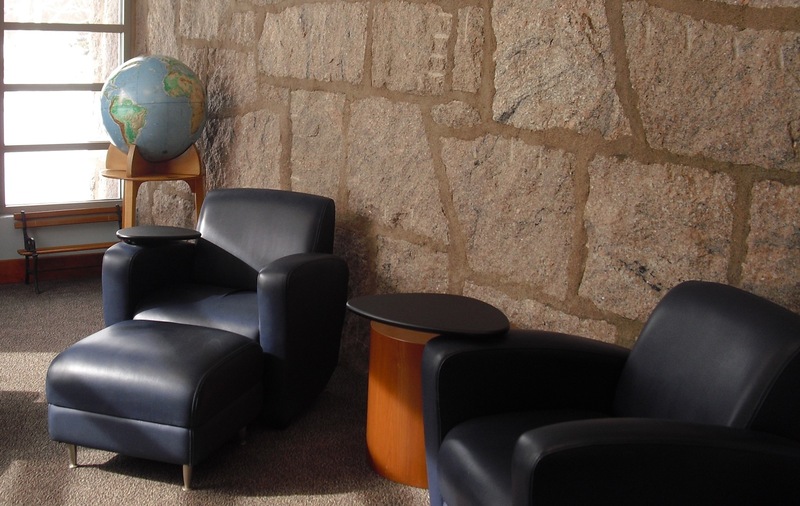 VISIT: Willoughby Wallace Memorial Library; Not only can you see examples of both rough hewn and polished Stony Creek Pink Granite here, but you’ll be warmly welcomed to sink your tush into a comfy chair and read or catch up on email. There’s a small but wonderful art gallery and the foyer showcases uniforms from the local Fife And Drum Band. This is the perfect rainy or snowy day cocoon for bibliophiles. SHOP: Taken For Granite. There is really no “downtown” to Stony Creek. There are a few art galleries on Main Street, a couple of market-type eateries and the library. That’s it. Drive a mile or so out of town, though, to Taken For Granite, a gift shop just as notable for its creative displays (and its name) as it is for its content. 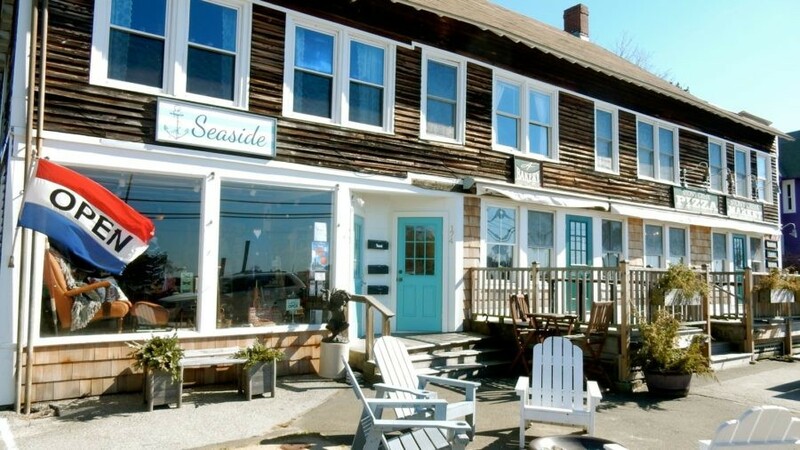 SHOP: Seaside Home and Gifts. 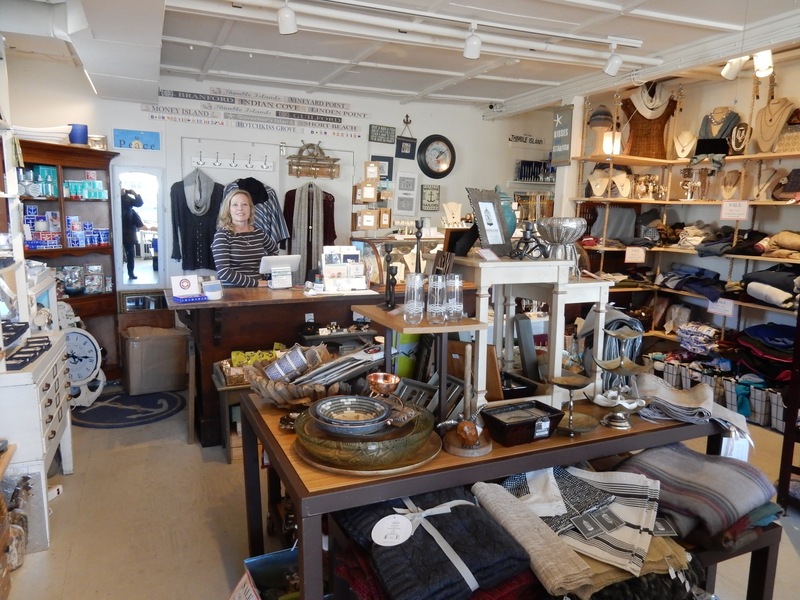 What used to be an antique store is now the fun, reasonably priced gift, housewares, clothing shop, Seaside. 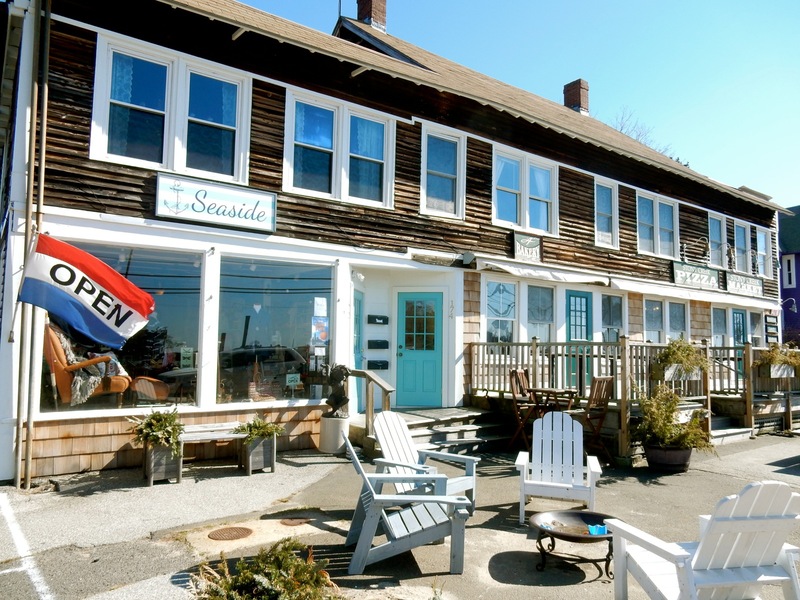 Sharing the building that houses the Stony Creek Market, Seaside is the perfect place to peruse the perfect housewarming present – especially if said house is on one of the Thimble Islands. Sales are particularly awesome – I left with a $40 shell necklace for just $12. 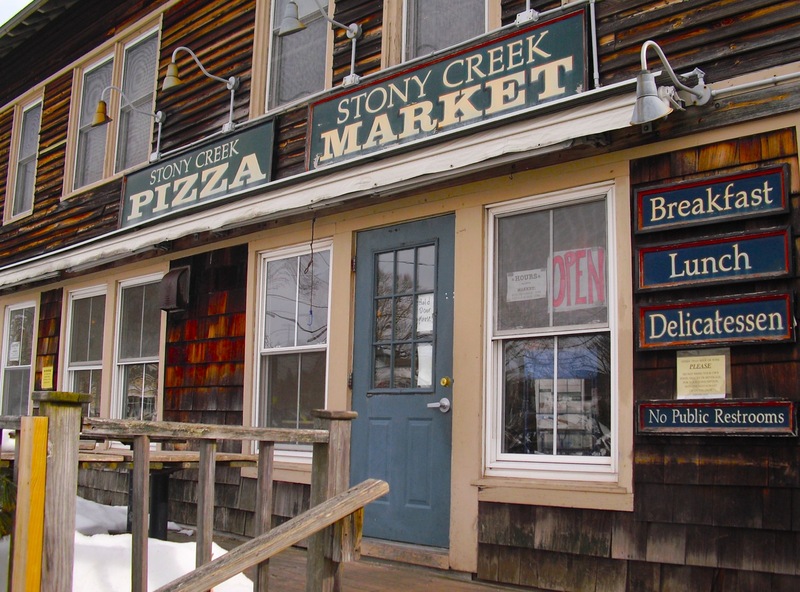 EAT: Stony Creek Market and Pizza. Linger long enough here, and you’ll likely be invited to a Town Hall meeting of some kind. It’s that kind of place. In the morning, Moms and babies prevail, later on, seniors discuss local and world politics. The freshly made Chicken Curry Salad is particularly toothsome, and all dishes are straight from the stove or oven excellent. From Memorial Day till Labor Day Thursday to Sunday Nights, you can pick up (or eat in) a carb-loading pizza dinner. EAT: Thimbleberry Café. In the former “Creeker’s” space, chef/owner Mike McNamara presides over this unpretentious eatery. Breakfasts like The Bear Island (two poached eggs on English Muffin with fresh tomato, sautéed spinach and melted cheddar) take center stage. I can personally attest to the awesomeness of the Home Fries and fresh thyme-infused New England Clam Chowder as well. 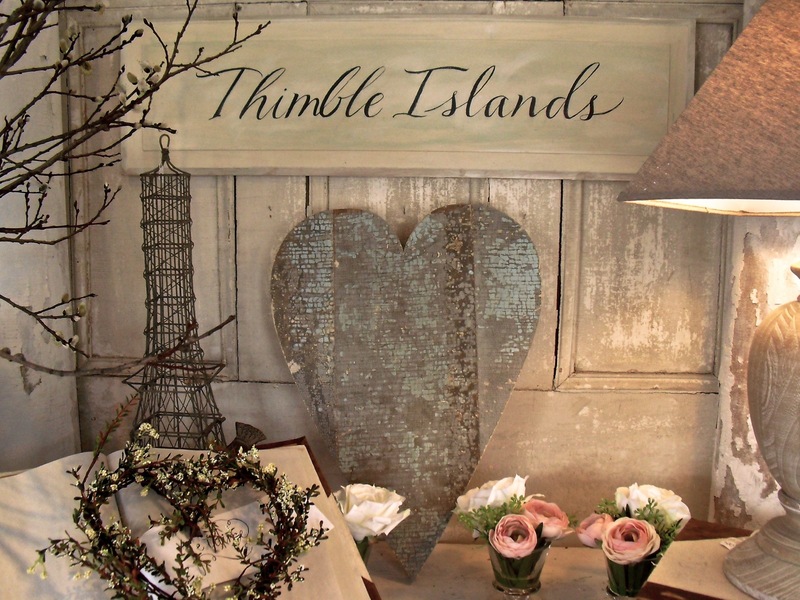 STAY: Thimble Islands B&B. Just two rooms, but each one magnificent, this newcomer to Stony Creek is already a favorite of many. 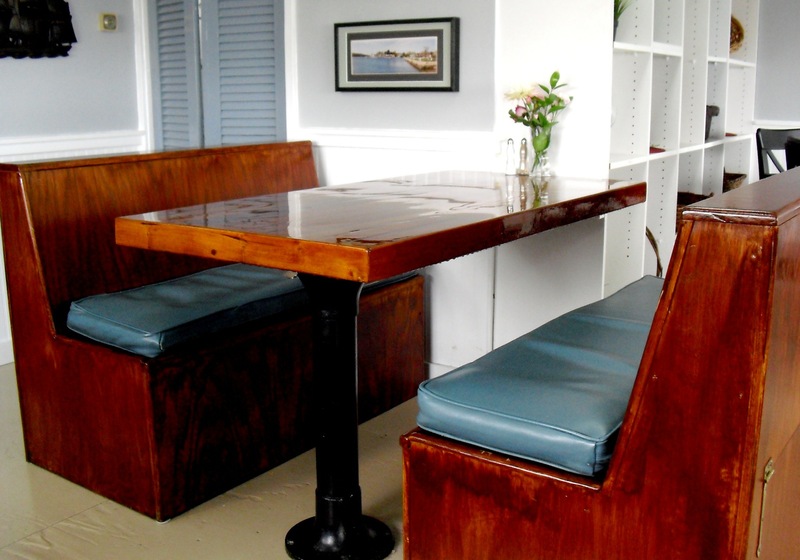 Enjoy wine and cheese in the afternoon on the waterfront patio and full breakfast in the morning. ($275 – $600 per night). I grew up in this charming little village. My family owned a building and business there for many years. My favorite thing to do is to walk down the dirt road to the old trolley bridge. The small beach with it’s little gazebo and the town dock are also favorites.